With the new season of Doctor Who comes a new lead writer and producer, Steven Moffat. He is no stranger to Doctor Who but this is the first time that he has control over how the series develops. The new series chapter is already controversial in the eyes of Doctor Who fans. Examples of controversy: at the end of last season David Tennant’s Doctor’s sonic screwdriver was destroyed, plus the latest Doctor Who actor, Matt Smith, is a mere 27 years old (rather young for a Time Lord) and the newest companion is a tall, red-head that is very easy on the eyes. 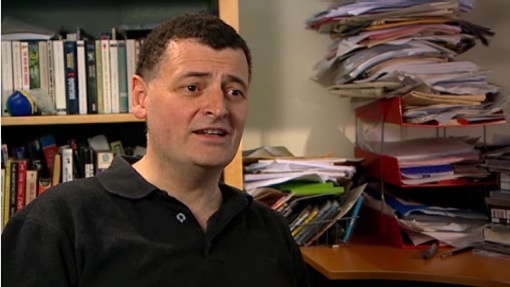 Read through the interesting article that Comingsoon.com had with Steven Moffat and get his take on where the season might go. Plus get some history on Moffat himself to discover why some of the events on Doctor Who transpire the way they do. Take a look at the comingsoon.net article. Posted: 04|24|10 at 10:49 am. Filed under: New Doctor Who.